The Ocean Sun Dive Resort offers you ten cozy bungalows nestled in a tropical garden overlooking the volcano Agung. All bungalows have air conditioning, hot water and Wi-Fi access. The garden is lovingly planted and gives the resort the tropical flair you expect in Bali. The pool is perfectly integrated into the garden and invites you to cool off. 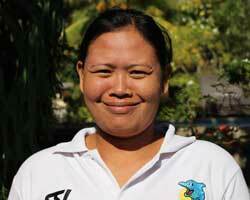 Yeni is the wife of Ric and has taken on administrative tasks in the resort. She is the decision-maker with Ric and his father Dieter and heads many areas of the resort. She handles approvals and licenses and negotiates with the tax authorities.She never loses the overview of the financial situation by controlling the accounting. She also creates the restaurant's menus and design the t-shirts of Ocean Sun . 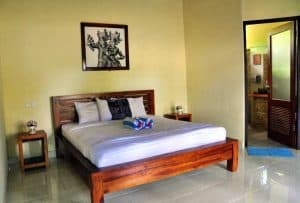 She knows all the processes of the resort perfectly and will be happy to advise you on all matters relating to your Bali vacation. Guests like her open and friendly nature. Years ago, Ricardo and his father dreamed of opening a dive center. 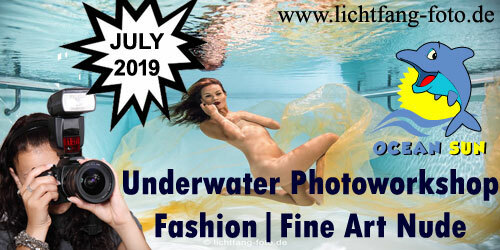 Meanwhile, , it has become a diving resort. With his wife Yeni and his father Dieter, he is responsible for many processes in the resort. He takes care of your inquiries and bookings, organizes tours and transfers and takes care of everything in the background. 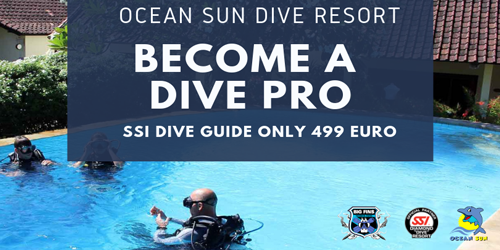 He loves giving dive courses and accompanies you on tours to the dive sites of Bali. 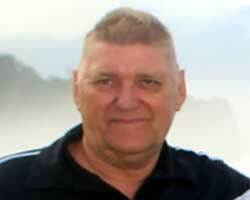 Dieter is the reason for the existence of the resort. With his decision 20 years ago to leave Germany to live in Indonesia, he unconsciously laid the foundations of this company.Together with Ricardo and Yeni, he built the resort in the recent years. 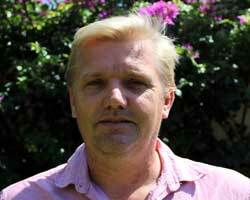 Dieter is known for his privately guided tours through East Java. He now knows many stories and can explain connections in relation to Indonesia. In the resort, he is a pleasant conversational partner for our guests. Made was one of our first staff member in the restaurant team and she is now one of our most experienced employees. She enjoys a high reputation in the kitchen as she can work both as a waitress and as a cook. Everybody feels welcomed because of her professional work and her Balinese charm. Nengah was our first employee in the kitchen and has been working with us for over 10 years.In the kitchen, she knows all the processes and is highly valued by the employees. At the same time, she hardly appears externally and works more in the background. Guests will appreciate their work with the delicious dishes they prepare in the kitchen. 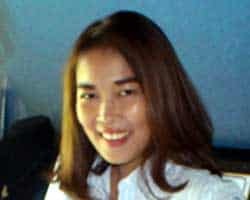 Nengah cook both Asian and European cuisine. 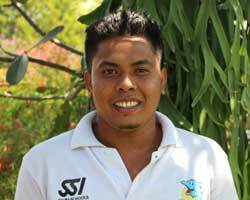 Komang has been working with us for years and has developed into a good cook. She has perfected her culinary skills with us during her time. In addition to Asian dishes, she also learned how to cook European dishes. She is open to new things and likes to try new dishes. She has the certain feeling and every meal she cooks is tasty. 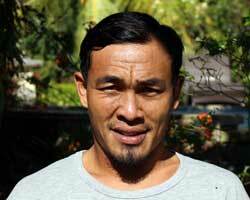 Komang is also a longtime member of the kitchen team and works as a cook there. Her quiet nature hardly makes her appear. Her cooking is her strength. And so she prepares amazing dishes of European and Asian cuisine for you. She knows all processes in the kitchen and is highly appreciated by her team. Kadek has only been with us for a few years now but has quickly impressed us with his remarkable work. With Pancha, he mainly looks after the garden and the pool. His work starts early in the morning. He reliably controls the water quality of the pool and cleans the garden, where you will often see him. As BBQ master he appears at our BBQ evening. Pacha has been responsible for the garden since the beginning of the resort. From the beginning he masters this task perfectly and has the little paradise under control. With Kadek he also likes to take on other tasks and takes care of the pool. He is one of the first in the morning in the resort and cleans paths and gardens. He shows his barbecue skills with Pancha at our BBQ evening. Komang has been responsible for the cleanliness of the bungalows since the opening of the resort. She is busy every day to get all bungalows shipshape. Patiently she waits every morning until guests leave the room to take action. Many guests are very impressed by the cleanliness of the bungalows which speaks for her reliable work. 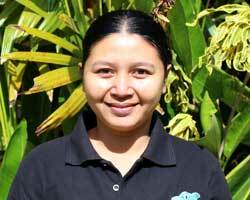 Iluh has been in our team since the opening of the resort. 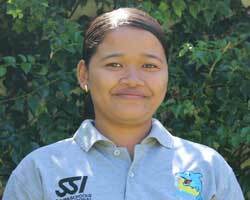 She has integrated well into the team and cleans your bungalows every morning. She changes the bed linen on request and takes care of the cleaning of the sheets and the curtains. She knows her work very well and many good reviews of the bungalows confirm her good work. Made is our driver and takes care of our vehicles. He picks up guests from the airport. 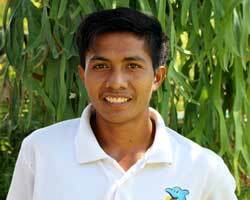 He has a friendly personality and guests like to chat with him even if his English skills are not perfect. He also likes to do minor repairs in the resort. 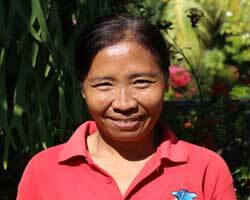 Nengah has been with us for some time and watches over the resort at night. He welcomes guests arriving at night and serves drinks after the restaurant team closes the kitchen. He is happy to help you should problems occur at night. Sometimes he does some minor carpentry work in the resort. 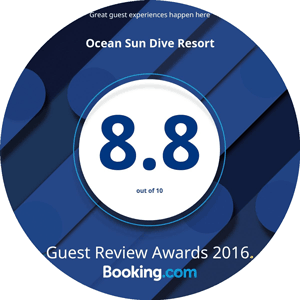 The portal Booking.com awarded us this award for the first time in 2016. 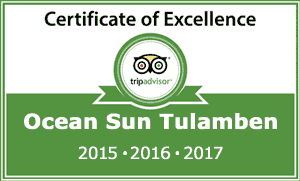 For 3 years we have received this award from Tripadvisor. 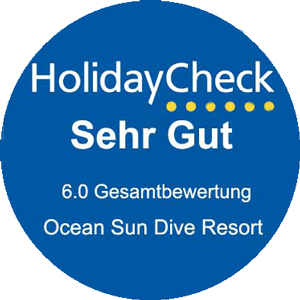 We also proud with good reviews on many other portals such as HolidayCheck. 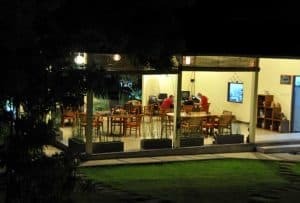 The restaurant is the focal point of the resort and here we meet before and after diving to share the experience with other guests.With good visibility you have a lovely view of the garden and to the Agung, Bali’s largest volcano. Our kitchen is open all day and offers Asian and European dishes. Our kitchen team has a long experience what is reflected in points of taste of the individual dishes. Recently we offer coffee and cake. 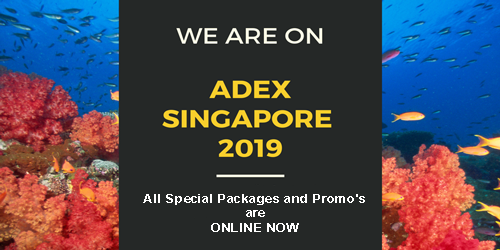 Several times per month there are special evenings like “BBQ Night”, “Indonesian Fish BBQ” or “Indonesian Padang Food.”These evenings have a family atmosphere and provide a perfect platform for new holiday contacts. If you are interested, you are welcome to observe us and we will show you how to cook Asian dishes. 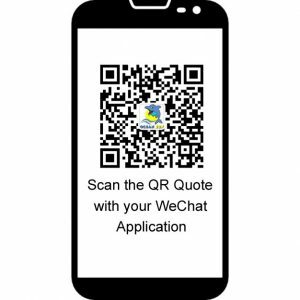 Here you can find the complete menu and more information. A Balinese gardener designed and created the garden at Ocean Sun. And he has done a superb job by creating a little paradise that blends perfectly with the particular buildings. Various tropical plants were planted. Our two gardeners are active every day and so we guarantee an excellent view of a green area even in the dry season. The pool is five meters by nine meters, has a depth of 2.60 meters and invites you to cool off. There is a quiet sunbathing area where sun-seekers get their money’s worth. The pool was designed to do diving training there. In sunny weather you can also see from here the Agung, the highest volcano in Bali.